The number of cameras you will need for your property will depend on how many entry points you have. Houses with front doors, back doors, window openings, and garages will require more cameras set up than an apartment with just a front door. It’s always wise to seek professional consultation. This is because you may overlook potential entry points to your property. Do You Choose Wired Or Wireless? You can choose between wired and wireless surveillance cameras depending on your preferences, needs, and budget. Wireless systems are easier to install and many homeowners can do it themselves. But the drawback is their reliability and efficiency. For this reason, wired surveillance is often the preferred route because you don’t want to compromise on the safety you everyone in your home. They are typically less vulnerable to any wireless signal interference and are less likely to break down. A wired system consists of cameras, a recorder, and a router. 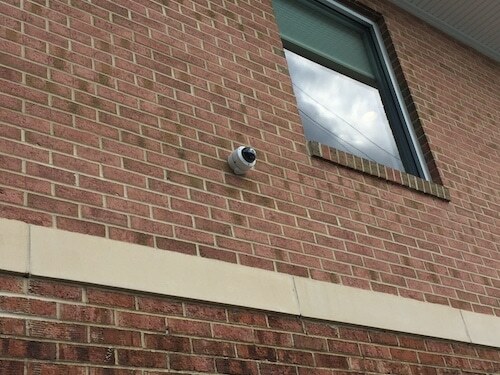 Wired surveillance systems need professional installation since they connect to high voltage and power supplies. What Kind Of Features Should Your Camera Have? Surveillance cameras have a variety of features. A must-have feature is night vision since most criminal activities tend to take place at night. Depending on the size of your property, you may want to choose long-range night vision cameras. Some nice-to-have features include license plate recognition, zoom, HD resolution, and motion sensing. Armed with these features, you’ll find it easier to detect suspicious activity – enabling you to call the authorities in advance if needed. You’ll also want to look into the storage offering of the camera since you will be recording every moment of every day. However, keep in mind that the more features in a camera, the pricier it can be. You don’t want to take security surveillance causally because safety should be your biggest priority. Hiring an insured, certified and registered security locksmith is a good idea because you know you’re leaving the job to people who know exactly what they are doing. If you’re looking for honest prices and guaranteed work, then Buckley’s Securitysmiths is the right choice. We even have a local office in Colonial Heights, and service Petersburg and Chester VA.